Zeta Iota is a chapter of Beta Alpha Psi, an honorary accounting society, at the University of Nevada, Reno. 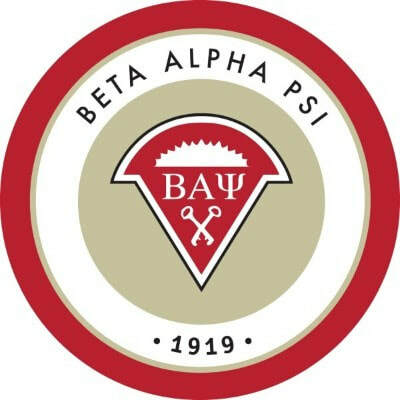 The Zeta Iota chapter has earned Beta Alpha Psi’s highest international ranking, “Superior Status”, eight out of the last nine years and it is our goal this year to sustain this status. Membership in the Zeta Iota chapter gives our members access to essential tools to gain experience in their field of interest, while also providing the best opportunities to network with their peers and potential employers both socially and professionally. Our goal at Beta Alpha Psi is to bridge the gap between the classroom and the workplace. We do this through professional lunches, firm tours, social activities, Meet the Firms and Spring Banquet. Over the past years, Zeta Iota has brought valued financial professionals to the business world while creating priceless memories for its participants.